Maybe you’ve heard violin makers talk about violins with “integral” bassbars (cut from the top, not separate) and carving straight from the gouge. This is one of those. It doesn’t get much worse than this. Usually they might smooth a bit around where the post would go, but not this time! 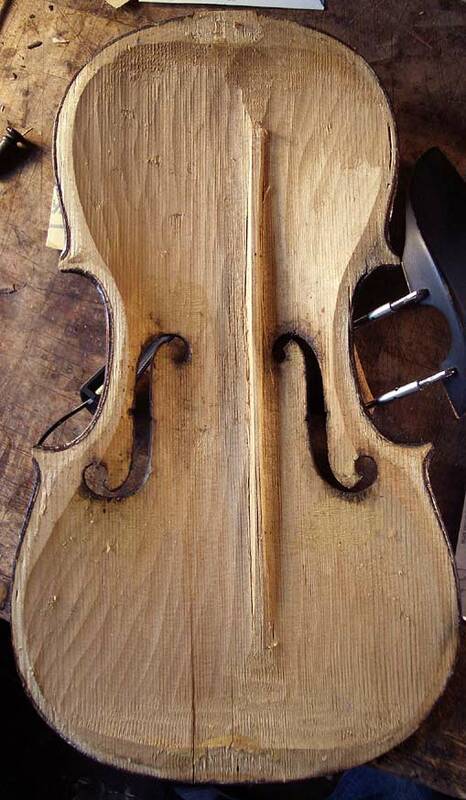 A violin like this can be perfectly finished on the outside, and the parts you see through the f-holes will be as finely detailed as anything else. You might think that it looks really well made, but it’s what you don’t see that makes the difference.